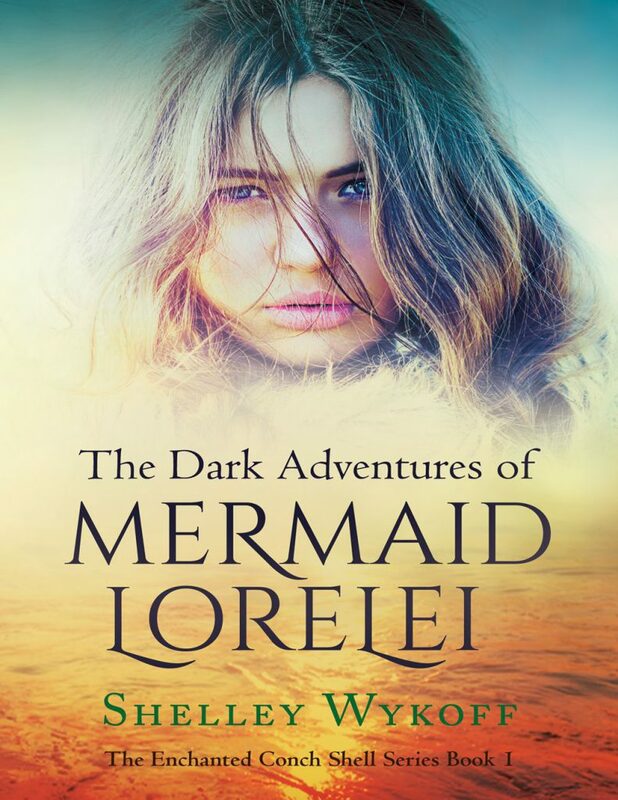 The Dark Adventures of Mermaid Lorelei The Enchanted Conch Shell Series Book1 is a dark fantasy adventure targeted at Middle school Grade readers. This bookis "G" rated. An ancient magical conch shell necklace, owned by Mermaid Lorelei, shares its secret one evening, by serenading her under the stars. The necklace begins buzzing and glowing as she is riding her horse one dark and starry night on the beach down some distance from the Kingdom. Lorelei instructs her steed, Black Jack to “whoa” and quickly pulls her necklace off to examine it for any clue as to why it now seemed to actually have a heartbeat. Instinctively, she places the conch shell to her ear. What she hears is just the beginning to one of many of her adventures she and a group of friends will encounter together. Bookone in this dark adventure series will take you to Disney-Land, the magical place of the Underworld, have you rooting for a victor in an epic battle for the elemental control of the ocean and finally a quest for justice, this eclectic group of amazingly talented adolescents and introducing the loyal Tijuana “Juan,” Ricky’s dog, will keep you entertained until the very end of the adventure. Turn the page to begin one of the best series out this year.